Well it seems I am just not breaking on the good side of Lady Luck lately. Health, Mental and all other things are closing in on me. Sorry to whine a bit but, that is about the size of it all. 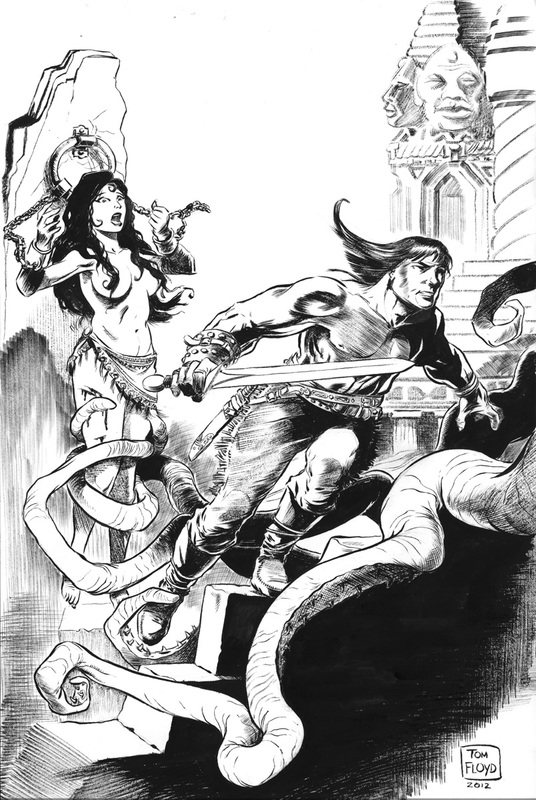 At least I did finish the inks on this Conan piece. I hope thru all of this stuff it is a good piece. My production rate is almost at a standstill because of all these things. Sorry.